The important thing to remember is that there is no such thing as stress. It’s a human reaction to a given situation, which makes it either stressful or easy sailing: we’re the authors of our own stress. I agree with part of the quote but not all of it. I do not agree that there is no such thing as stress. There are some situations that are by their very nature stressful. A natural disaster. The death of a loved one. A breakup. I do however, agree with the way the author speaks about a situation and our reaction to a situation as two separate entities and his suggestion that we have choice regarding our response. 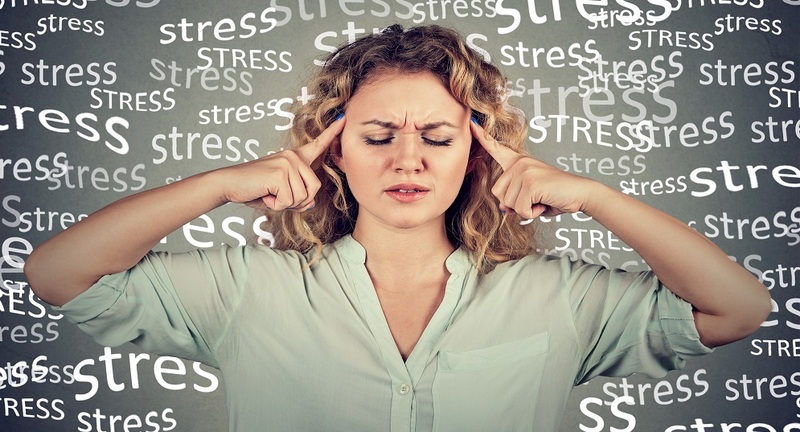 Do you tend to use the word stress to describe both a stressful situation and your reaction to a stressful situation? If you do, it can be difficult to know how to even begin to deal with stress in your life. If, however, you deconstruct stress and separate the term into the situation (stressor) and your reaction to the situation (typically strain and excess muscular tension) it gives you a good place to start. You can certainly do some things in order to reduce the number of stressful situations you encounter. If feeling like you never have enough free time is a stressor for you, you can say “no” to some volunteer obligations and not over schedule your free time. If clutter at home is a stressor, you can work to declutter your house. There are however, many stressors in life that you have absolutely no control over. What you do have control over is your response to those stressors. So why not focus your energies there—becoming more aware of your habitual reactions to those situations you deem stressful? When you take the time to cultivate a degree of awareness of your habitual reactions to certain stressors, you open the window to choose a different response. Awareness of habitual reaction allows for choice in response. If you just had a day you would describe as stressful, take time to jot down exactly what situations during your day were particularly stressful. Note any of the situations on your list that occur on a daily or weekly basis in your life and are ones that you don’t have control over and can’t eliminate. Choose one of those recurrent situations and work on becoming aware of how you habitually react to it by playing the following game over the next couple of weeks: simply see if you can stop before you immediately react to the situation the next time. For example, if getting an e-mail message from a particular co-worker makes your blood pressure rise—when you see the message in your inbox try to stop before you immediately go to open it. Be patient with yourself. Stopping is the hardest part. When you do stop it will give you a small window of time in which to observe yourself, notice your thoughts, your breathing and the strain and tension in your body. These are your habitual reactions to that particular situation. By doing this type of self-study you improve your awareness of how you are reacting and that eventually allows for choice over your habitual reaction. For example, you might choose to breathe instead of holding your breath before you open that e-mail. Now that’s not a bad idea! Quote at beginning of post attributed to Amand Ayaltin, doctor of natural medicine. Thanks Deb. Glad you like it.